DC's greatest heroes are back in vinyl! Suit up with Superman. 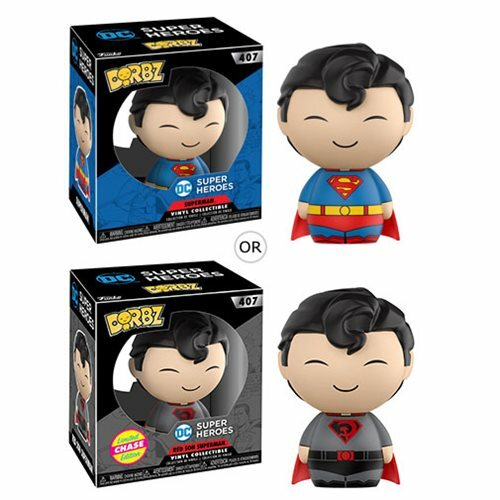 This DC Super Heroes Superman Dorbz Vinyl Figure #407 measures approximately 3-inches tall and comes packaged in a window display box. Ages 3 and up.